The phrase "my life is an open book" has never been truer than it is today. The Internet, coupled with the growing popularity of social networking sites like Facebook, Twitter, and LinkedIn, have exposed many personal histories to anyone with access to cyberspace. 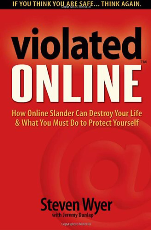 As a result of that, it has become easier than ever to besmirch the reputation of a person or business, as Steven Wyer makes painfully clear in his new book Violated Online: How Online Slander Can Destroy Your Life and What You Must Do To Protect Yourself. Wyer is managing director of Reputation Advocate, a firm in Franklin, Tennessee, that advises people and companies about what to do when their reputations have been maligned online. 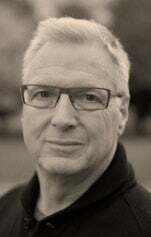 Wyer uses his experience with the consultancy to pepper Violated, which he wrote with Jeremy Dunlap, with true cases that illustrate the many ways reputations can be sullied online. Those ways range from being attacked out of nowhere, having your name stolen by cybersquatters, being betrayed by estranged family and friends, to being bad-mouthed at comment and complaint sites. The chapter on complaint sites is particularly illuminating, with its rules for handling malicious actors at the sites and an extensive list of the most popular grousing spots on the Net. While Wyer is in the business of damage control when reputations are scorched, he acknowledges that everyone in his line of work isn't four square. So he includes in Violated, which is published by Dunham Books, some guidelines that should be followed and questions that should be asked before hiring a Search Engine Reputation Management (SERM) or Online Reputation Management (ORM) firm. In many ways, Violated is a disheartening book, not only because the people inside its 236 pages achieve only a modicum of solace for their suffering, but because it exposes the disconnect between the ideals at the foundation of the nation and how the Internet has undermined or deformed those ideals. "While I used to live by the belief that we are innocent until proven guilty, I learned the hard way it doesn't work like that anymore," Wyer writes. "[O]nline accusations damaged my business, hurt my family and deeply affected my income." "I have sadly come to the conclusion," he added, "that there is no one out there who is going to protect us. We have to do this ourselves." As many others today, he also laments the loss of civility in public discourse, but he's realistic about rectifying that situation. "We as a society are the poorer for it, but getting the genie back in the bottle will probably never happen," he observes. Wyer's advice can be dubious at times. For instance, he recommends that individuals buy all domains that contain their name, variations of it, and potential nasty versions, such as johnsmithsucks.com. Spending $100 to $200 a year on domain names may make sense to Wyer, but for most people it's a waste of money. Wyer can be infuriating, too. "Before the Internet, public records were essentially private because of their obscurity; they sat gathering dust in courthouse files in city, county, state, and federal offices," he writes. "But since the late 1990s, courts have posted records online to manage cases more efficiently and provide easier access. While convenient, many online records now provide information about what has always been considered private matters." It seems Wyer thinks freedom of information is a good idea as long as access to it is impractical.